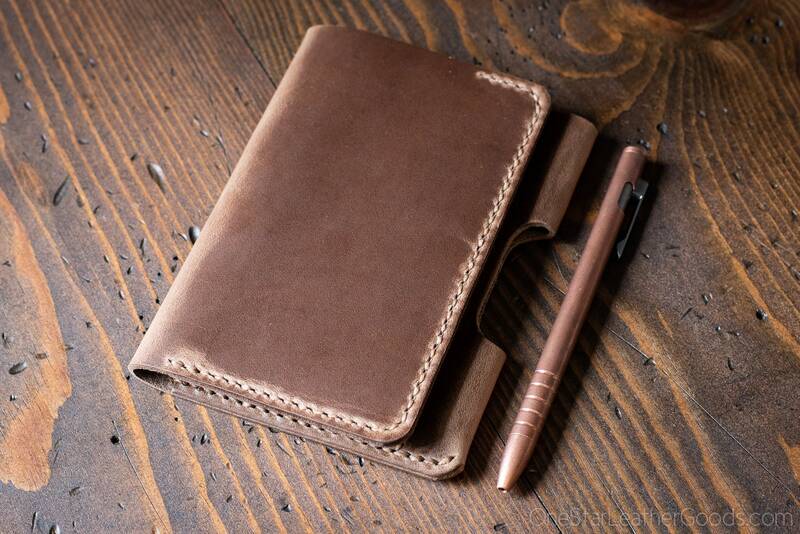 You want to carry a notebook with you everywhere, and it needs a good cover. Here is your solution. Thin and sleek with no heavy spines, this is the perfect back pocket companion. This design fits many different 3.5"x5.5" notebooks. 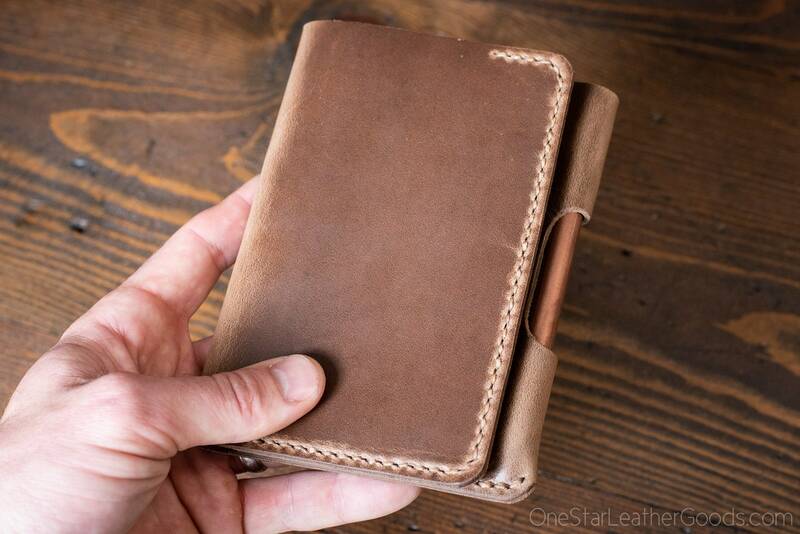 You can easily carry two notebooks in this cover, one with its back cover tucked into the right flap, and another with its front cover tucked into the left flap. Ships with a notebook. The pen sleeve will fit pens up to about 11mm in diameter. Texture varies. Each is unique. 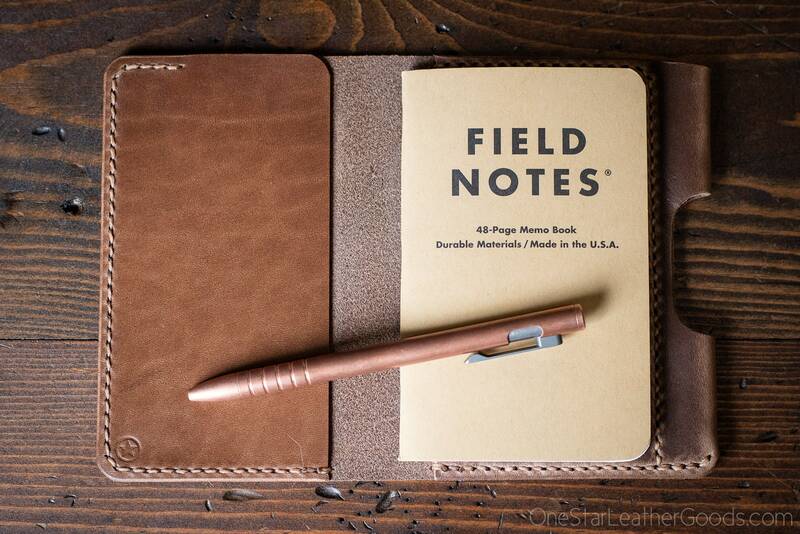 Leather is from the legendary Horween tannery. It will age and patina beautifully, darkening a bit with age. This works great in a back jeans pocket. As long as you position the pen on the outside edge of your back pocket, this is very comfortable back there even when sitting. If you look at the outside seam of your back pocket while you are sitting, it remains almost straight, so there is very little risk of bending or breaking pens. I carry this with a pen in my back pocket frequently and hardly notice it even when sitting. 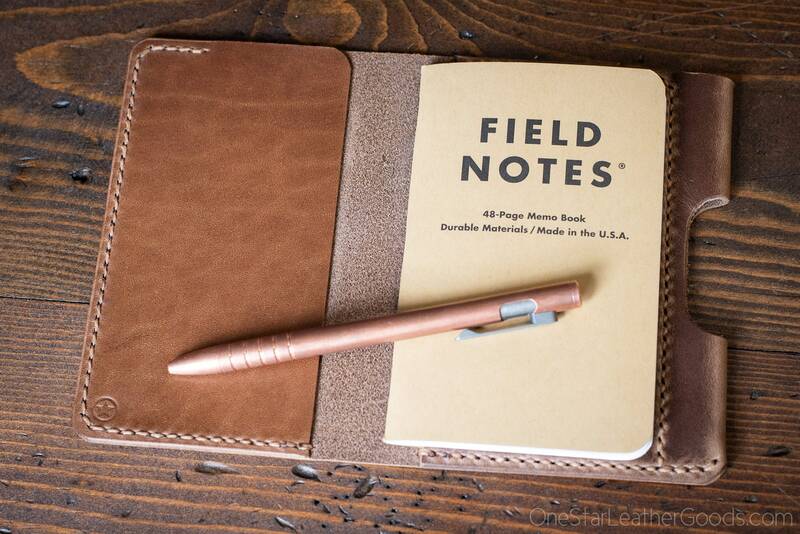 This model comes with a Field Notes notebook but does NOT come with a pen. However, the pen sleeve will fit many pens up to about 1cm in diameter. 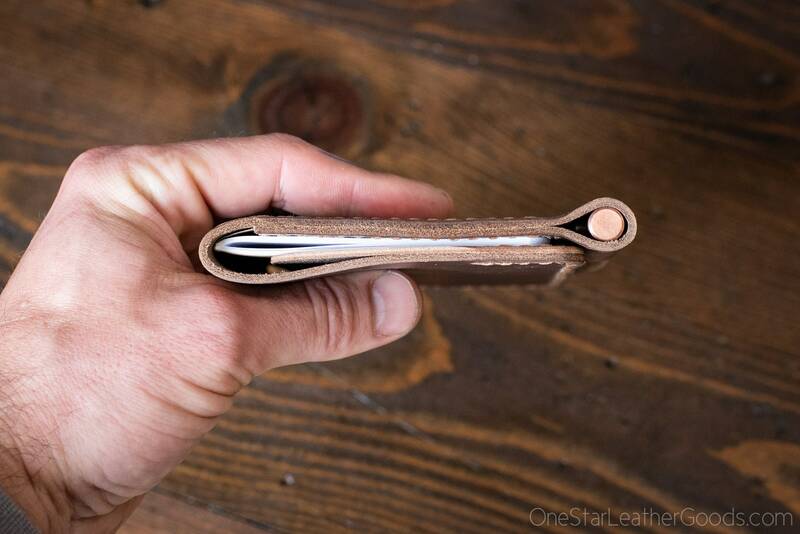 The pen sleeve is designed to swallow the entire pen, including clip, so there is nothing to catch on pockets and such. I've seen some people who leave the clip on the outside of the sleeve, but this is not how it was meant to be used.